A great cookout or deck party shouldn’t end just because the sun sets. Properly placed deck lighting not only makes your awesome new deck look more awesome, it serves the critical purpose of prolonging the party on your outdoor oasis by providing a soft, inviting glow throughout the night. Built-in illumination that is built to last. Our friends at Trex® Company like to call it “AHHHMBIENCE”. The right lighting on your deck can turn your outdoor space from invisible to inviting while making your nighttime outdoors experience safer. 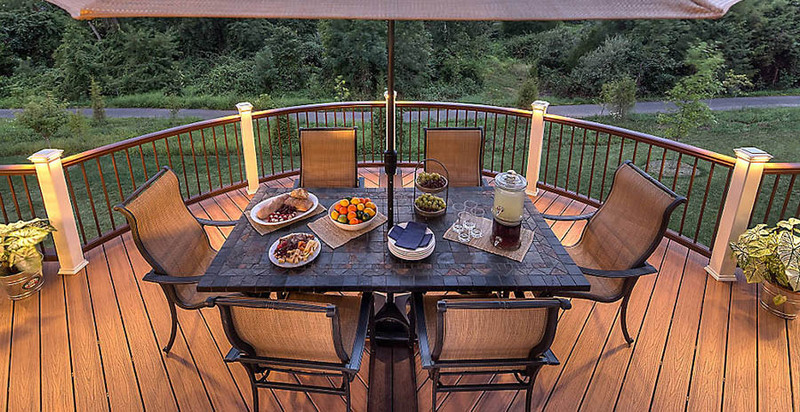 Set the right mood under the moonlight with deck lights designed to illuminate all of the proper areas, keeping your deck safe while keeping it comfortable with a warm, white cozy light. Modern lighting options are easier to install with quick-snap connectors, safer, and include timers and dimmers for total lighting control. Whether safely illuminating your stairways with LED step lights or proudly highlighting the perimeter of your domain with deck post lighting, Trex lights offer a long-lasting glow that never fails to match the beauty of your new Trex deck. Low-voltage deck lights with long-life LEDS are energy efficient, using 75% less energy compared to incandescent options. They are also made with high-performance materials that withstand years of tough weather. 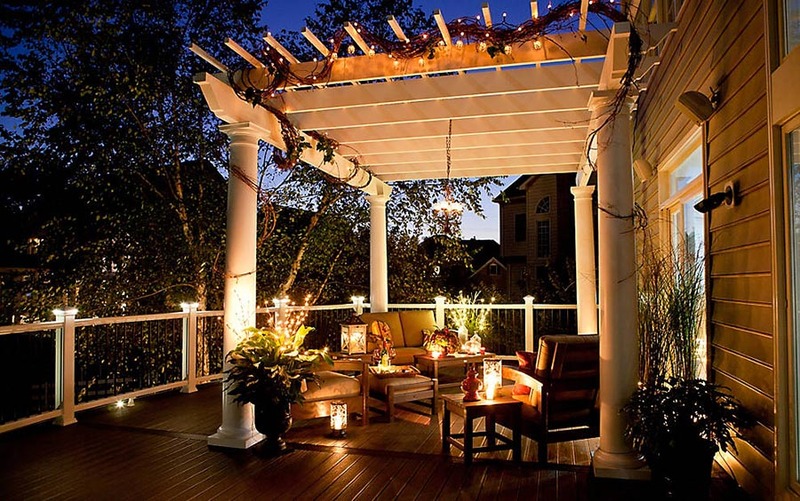 In fact, deck lights are water and salt air resistant, even in the harshest climates.